Pluto belongs on another out-of-this-world list! The Library and Information Technology Association (LITA), a division of the American Library Association (ALA), recently announced the 2019 Excellence in Children’s and Young Adult Science Fiction Notable Lists. I’m happy to announce that A PLACE FOR PLUTO has been recognized as a 2019 Golden Duck Notable Picture Book! Below is a list of all the books, from picture book through young adult. To read the full article, please click here. Bitty Bot’s Big Beach Getaway by Tim McCanna. Illustrated by Tad Carpenter. Paula Wise-man/Simon & Schuster. Breaking News: Alien Alert by David Biedrzycki. Charlesbridge. Doll-E 1.0 by Shanda McCloskey. Little, Brown YR. 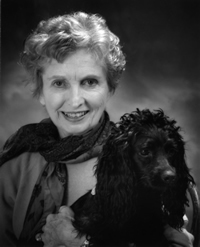 If You Had a Jetpack by Lisl H. Detlefsen. Illustrated by Linzie Hunter. Knopf. Little Robot Alone by Patricia MacLachlan and Emily MacLachlan Charest. Illustrated by Matt Phelan. Houghton Mifflin Harcourt. A Place for Pluto by Stef Wade. Illustrated by Melanie Demmer. Capstone Editions. CatStronauts: Robot Rescue by Drew Brockington. Little, Brown YR. (Graphic novel). Jamie Drake Equation by Christopher Edge. Delacorte. Margot and Mateo Save the World by Darcy Miller. HarperCollins. Mega Robo Bros by Neill Cameron. Scholastic. (Graphic novel). A Problematic Paradox by Eliot Sappingfield. G. P. Putnam’s Sons. Quantum Mechanics by Jeff Weigel. Lion Forge. (Graphic novel). Sanity & Tallulah by Molly Brooks. Disney/Hyperion. (Graphic novel). Star Scouts: The League of Lasers by Mike Lawrence. First Second. (Graphic novel). The Story Pirates Present: Stuck in the Stone Age by Geoff Rodkey. Rodale Kids. Too Much Space! (Beep and Bob) by Jonathan Roth. Simon and Schuster BYR. Voyage of the Dogs by Greg Van Eekhout. HarperCollins. Waste of Space by Stuart Gibbs. Simon & Schuster BYR. The Wild Robot Escapes by Peter Brown. Little, Brown YR.
A Conspiracy of Stars by Olivia A. Cole. Katherine Tegen/HarperCollins. Cross Fire by Fonda Lee. Scholastic. The Future Will Be B.S.-Free by Will Mcintosh. Delacorte. Honor Among Thieves by Rachel Caine and Ann Aguirre. Katherine Tegen/HarperCollins. Ignite the Stars by Maura Milan. Albert Whitman. Impostors by Scott Westerfeld. Scholastic. Pitch Dark by Courtney Alameda. Feiwel and Friends. Skyward by Brandon Sanderson. Delacorte. The Spaceship Next Door by Gene Doucette. Houghton Mifflin Harcourt. A Spark of White Fire by Sangu Mandanna. Sky Pony. Stronger, Faster, and More Beautiful by Arwen Elys Dayton, Delacorte. This Splintered Silence by Kayla Olson. HarperTeen. Unearthed by Amie Kaufman and Meagan Spooner. Hyperion. Your One & Only by Adrianne Finlay. Houghton Mifflin Harcourt. 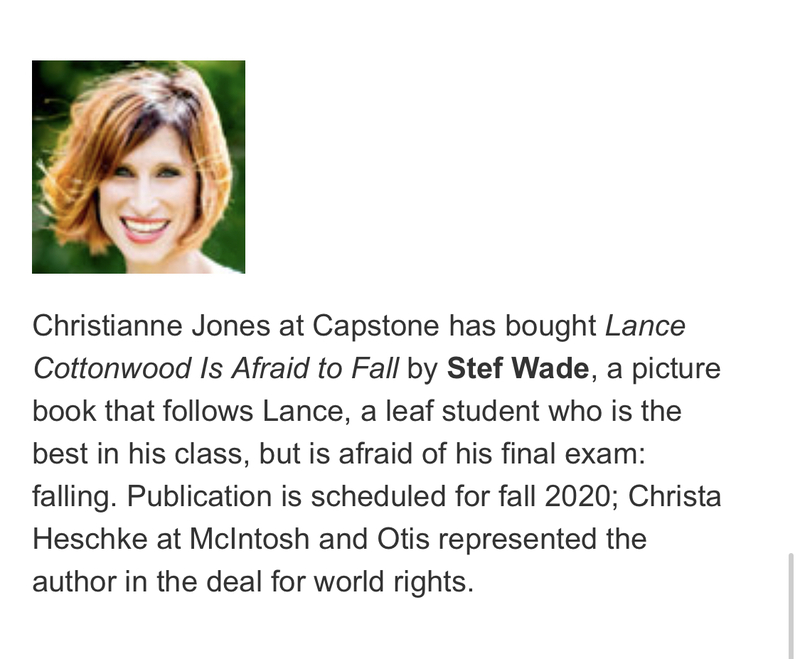 I’m excited to share some great news! 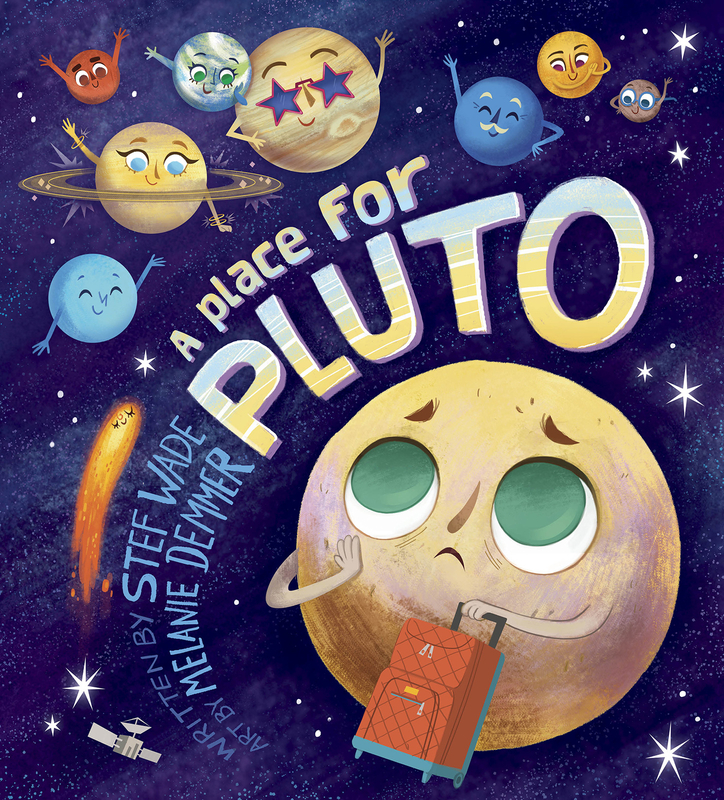 A PLACE FOR PLUTO was recently announced as part of the Texas Library Association’s (TXLA) 2×2 Reading List. 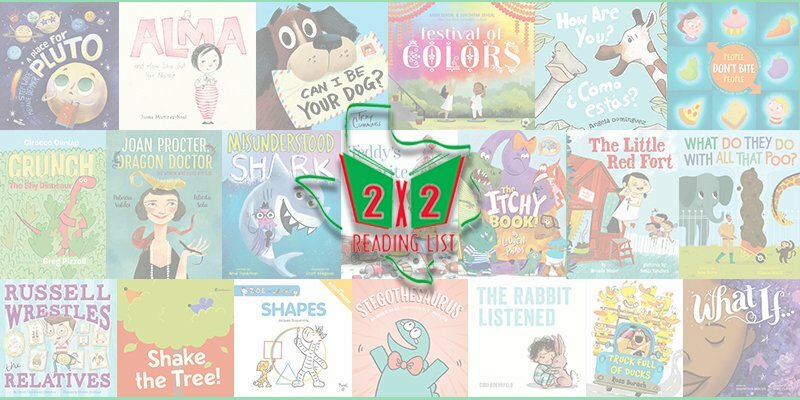 The 2×2 Reading List is a curated list of 20 titles for 2019 that recommends 20 picture book titles for children age 2 through grade 2. This list is designed to encourage reading and is used by parents, teachers, and caregivers in Texas and beyond! I’m honored that #plutobelongs on this list with so many distinguished and talented authors. It’s an exciting time for Pluto! Exciting things have been happening in Pluto’s universe this last week (and we all know he could use a little good news). A PLACE FOR PLUTO has been chosen by Barnes & Noble as part of their National Storytime for August 11, 2018! What exactly does that mean? Every Barnes & Noble across the country holds a Saturday morning storytime each week with the same book at each store. And they’ve chosen A PLACE FOR PLUTO as one of those books! There will be a reading, worksheets and lots of Pluto love! So mark your calendars for August 11! I couldn’t be more excited. I literally threw confetti. And due to this development, the release date for A PLACE FOR PLUTO is now July 1, 2018! You can pre-order from Barnes & Noble, Indie Bound, Amazon, Capstone and more. Just a little over a month and PLUTO will be out on the shelves! A PLACE FOR PLUTO Cover Reveal! The first sneak peek to A PLACE FOR PLUTO is here! The cover reveal is over at my super agent Christa Heschke’s Neverending Stories blog. But you can also see it…..
I’m blown away by all the illustrations for this book and the cover shows them off so perfectly. I mean, the suitcase! Come on! Melanie’s art brings a whole new level to this story. I’m excited to share this cover with you and excited to share this book with the world!